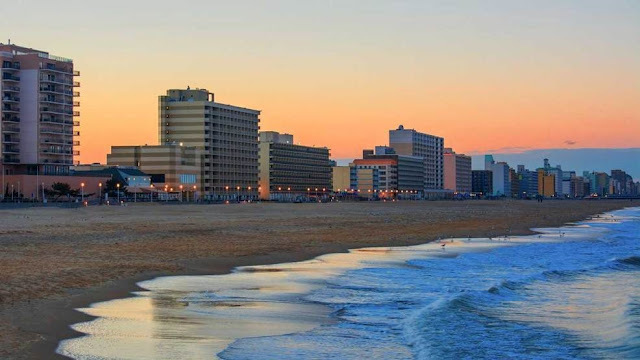 For some of the best beaches on the Atlantic Ocean, you can visit Virginia Beach, certainly one of the crowning attractions of the state of Virginia. You’ll quickly discover that the excellent coast is only the beginning of what makes the place so special; within the town there are a wide variety of excellent options for entertainment and activities for people of all ages. Whether you’re traveling for a family vacation or on a solo retreat to get away from the demands of daily life, Virginia Beach is certain to surpass your expectations for a vacation experience. The boardwalk area of Virginia Beach is the obvious place to begin your trip in the city. Especially during the summer, vacationers and photographers in Virginia Beach enjoy the long stretches of sand and the beautiful deep blue of the Atlantic Ocean. Right next to the beach along the boardwalk you’ll find a wide variety of local shops, cafés, and restaurants, perfect for a place to relax and enjoy a meal after a day in the sun or to pick up a special souvenir to remember your trip. If you enjoy physical activity, the boardwalk is a great place to go running, biking, skateboarding, or walking. The well-maintained pathway and the ocean scenery make the boardwalk the perfect place in Virginia Beach to get in your daily workout. Just outside the city is the historic First Landing State Park. Here you can learn about the significance of the region and the first immigrants to the United States as well as enjoy the beautiful nature and surroundings. Campers and nature lovers will enjoy First Landing because of the excellent hiking trails and oceanside campsites perfect for a true retreat into nature. Out on the water you can rent watersport equipment and have a fun day of waterskiing or paddle-boarding. First Landing is just one of the beautiful natural places around Virginia Beach. You can visit the Back Bay Wildlife Refuge, which is a top destination for birders. Just next to Back Bay is False Cape National Park, with other camping options as well as the possibility to view numerous species of native wild animals. If you decide to rent a photographer when you’re in Virginia Beach, it might be worthwhile to see if they have any insider’s tips about the best times and places to visit the parks. They can also help make sure that the beautiful wildlife and natural scenery of the coast of Virginia is preserved in your vacation photographs. Another great spot to visit for photographs is the Chesapeake Bay Beach. A bit quieter than the centrally located and crowded Resort Beach, Chesapeake is also typically good for swimming with calm and shallow waters. Make sure you visit the Cape Henry Lighthouse, which is an iconic landmark of Virginia Beach and an excellent place to get some photographs. When you’re traveling to Virginia Beach, having a professional photographer from Localgrapher can help for numerous reasons. With a local’s knowledge, your photographer with have better insight about the best ways to include landmarks and scenery in your photographs while still capturing the important emotion of the trip. They can also give you suggestions about the city, places to visit, and what activities are good to do during the time you’re there. You won’t want to forget one moment of this special vacation, and with an expert photographer at your side, there’s no need to worry something might be left out.